Georgie Veitch is mad about fashion. Luckily, she's got the perfect job. 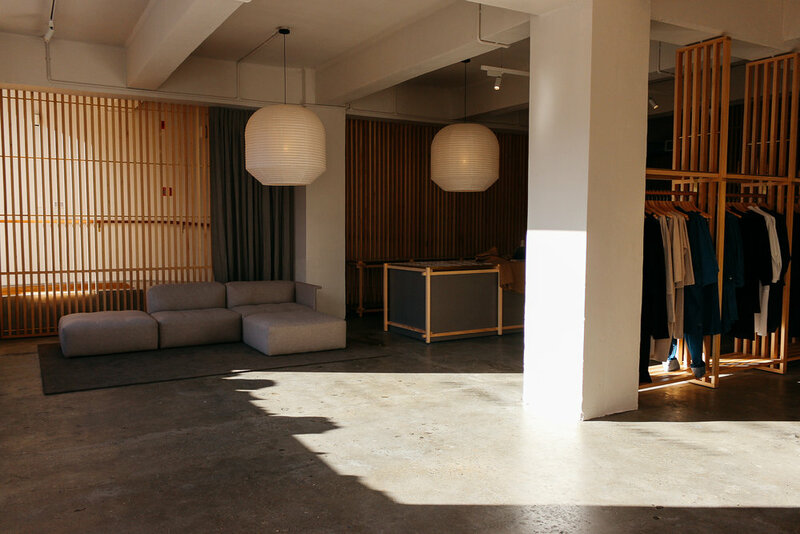 Georgie is the store manager of the newly opened Wellington flagship store by KowTow on College Street in Wellington, an increasingly popular NZ sustainable fashion brand. KowTow care about everything from the cotton to how they package your products. Now being stocked around the world, the brand has had a slow burn success. So how did Georgie come to find her role? Georgie was born in Dunedin. Her father owned a business selling motorcycles, after his father. Originally, the family were in partnership with another family - but now the Veitch's run McIver and Veitch alone (which even has a label of clothing attached). Georgie's mother was a hairdresser, and Georgie herself was obsessed with hats as a small girl "There's even an album dedicated to Georgie's Hats!" How did Georgie get into studying fashion? Georgie studied at Otago Girls High before moving to Wellington to pursue a degree in Fashion Design at Massey University. In her first year, she found herself struggling with the mixed design discipline, knowing already she wanted to study fashion. Homesickness also plagued her. "But by my final year, I loved it. With the Wellington design community being so small, everyone knows one another so I still stay in touch with my tutors and the friends I made there" Georgie explains. "At the time, I remember investing everything into my work. It is a hard degree because it's so personal, and being critiqued on your ideas is really challenging." How did Georgie begin her career in the industry? After completing her degree, Georgie entered a competition run by Westpac for Young Designer of the Year. "It was around the time we were graduating" Georgie explains. "You entered a competition with your end of year project, and they chose the finalists before it went to voting. You could get your friends and family to vote every day for a week - SUPER full on." Georgie made it to the final four contestants and then was flown to New Zealand Fashion Week to show their collection. "The announced the winner on the runaway, and amazingly I won" Georgie explains, eyes glowing. 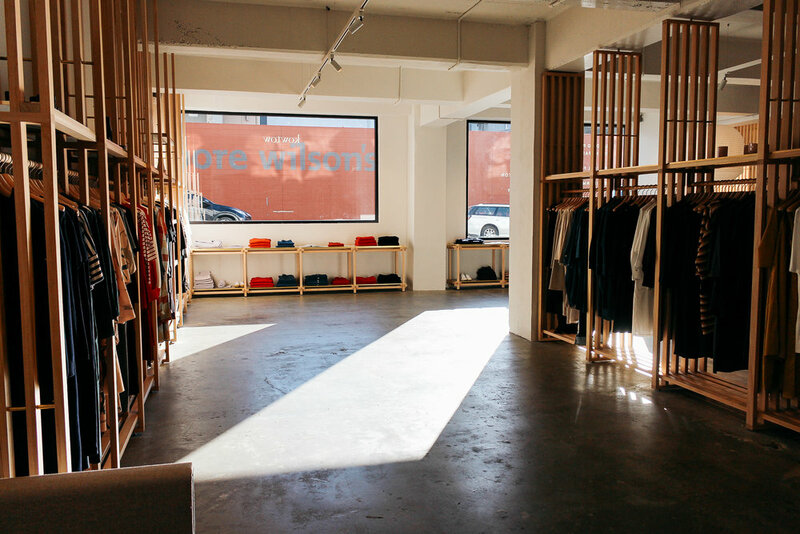 "I won an internship at Zambesi for a year, which was such an invaluable experience. I met so many cool people and I learnt so much. I worked for two weeks over the following years Fashion Week. I also won some prize money which allowed me to get a new sewing machine and to also do a trip to Japan to source inspiration." Georgie also was fortunate that the experience coincided with her birthday. "Zambesi kindly gifted me a $500 voucher and some pieces from their collection - so there were perks indeed!" Georgie says. Georgie then worked for Good As Gold for four and a half years. "At the same time, I've worked on my own brand on the side, slowly and quietly. I really enjoy it and for now, I want to keep it as a project I want to do, rather than a career." When did she begin to work for KowTow? How did she do it? 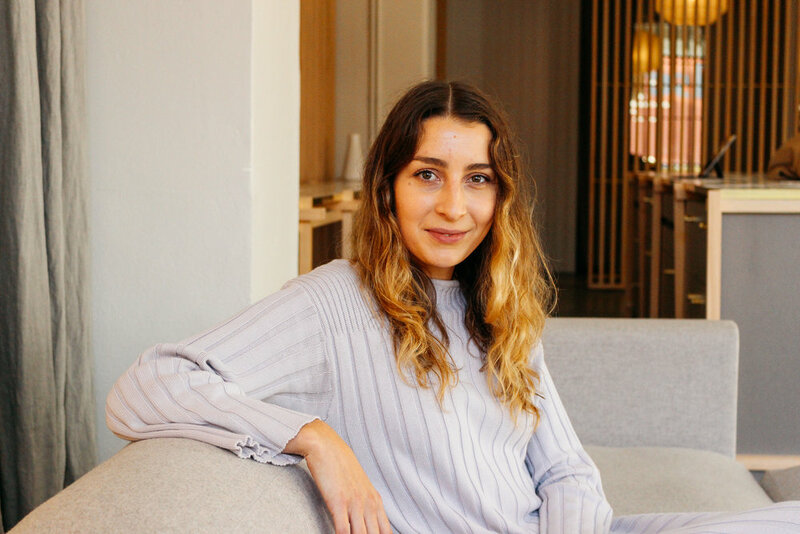 After Georgie left her old job, Georgie took a leap of faith and put herself out there to take on the new role at KowTow. "I felt it was time to move on to a new opportunity," says Georgie. "I took a leap of faith and just went for it! 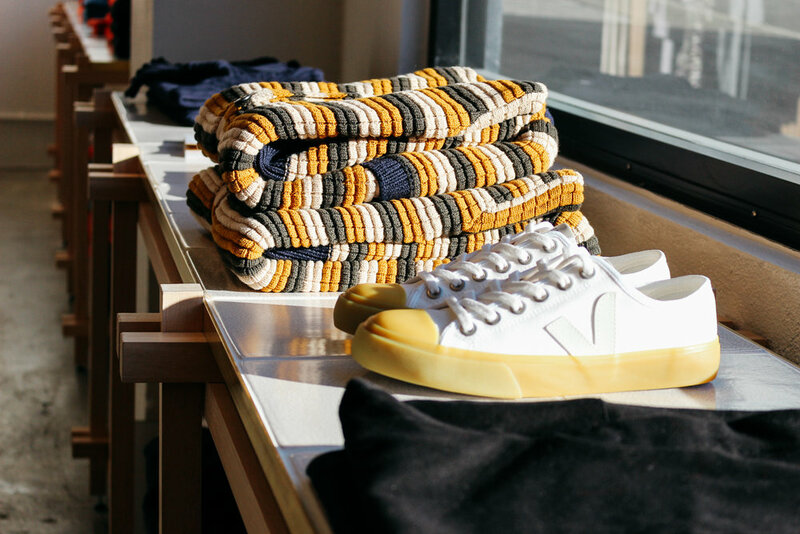 Good As Gold was very early stockists of KowTow, so I had been aware of them right from the start of my fashion career" Georgie explains. 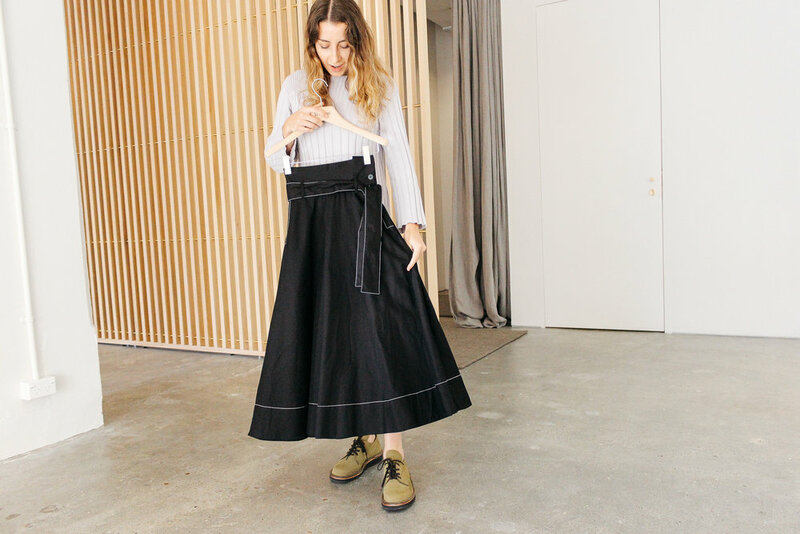 I ask her how large the team at KowTow is (where she does a few days a week at the head office, as well as on the store floor). "At the moment, around 20 people are employed by KowTow" Georgie explains. "We also have our shop staff, which we are looking to grow." Georgie shares the myriad of roles within the company: "There's a marketing team, sales (which I'm a part of) - both retail and wholesale, design, production, patternmaking team and seamstresses, and dispatch. We also have a new Head Designer!" What does she love about KowTow? "I love that I feel like I'm contributing towards something, something that's bigger than me" says Georgie. "Seeing how far the brand has come from when I started working to now is so exciting. It's a lot more elevated and we've introduced a Merino collection. I am very happy that more people are aware of ethical fashion and that more people are involved in it. It was always there, but never at the centre of the fashion industry. I feel like it's really taken off in the last few years and now it's unusual if designers aren't considering sustainability and ethical practices." In this collection, she loves the Grace dress (worn) in Lilac and the Composure Cardigans in Merino. She's also a fan of the Audition Skirt (pictured below). "I love the culture here. I will always be from Dunedin but after 10 years, Wellington is my home now" smiles Georgie.